Okay, maybe 50-75 people. Back yard BBQ, Family Gathering type event. We want it to be as awesome as possible. We both share a love for the summer, when family gets together & just enjoys the company, food & good times. Thats going to be our wedding reception. I want to do as much as I (we lol ) can! My family will do alot of the cooking etc. So what should I really start with. We want it to be amazing but without the debt. Sounds like you have a great plan for your wedding reception, the first thing you will need to do is set a date - co-ordinate this with your ceremony! When you have your date then you can plan the rest, normally you would find a venue for the reception but hopefully that will be in your own back yard or one of your family's. If not then have a look at your local parks sometimes they have a BBQ area that you can hire. Now you will need to sort out your invitations, make sure you have enough room for everyone you want to invite. 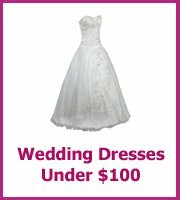 Making your own invites is much cheaper, have a look here for lots of cheap wedding invitation ideas. You may need to think about decorating your back yard and also the possibility of it raining? 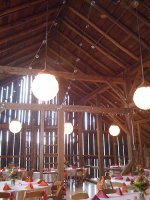 Cheap wedding decorations that look great are those big paper lanterns, and also dig out those Christmas lights that you have hidden in a box - borrow more from your family. If it might rain you need to think what you would do, is there enough room indoors or could you hire a small wedding tent for part of the back yard? 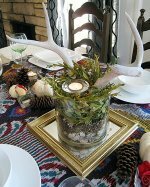 It's great that you have lots of help for the catering it will make it more of a party atmosphere, just make sure you have a list of what everyone is bringing - that way you won't have too many duplicates. Look into hiring or using disposable plates and cutlery - you do not want to be doing the washing up on your wedding day! You will also need to buy drinks for the reception, talk with a local drinks store and see if they will do sale or return, in other words could you take back unopened packs for a full refund? They also may do free hire of glasses - another saving! For your wedding cake have a look at local stores and even places like Walmart if you buy a plain cake you can decorate it yourself with flowers. Or ask one of your many talented friends and family if they would make it for your wedding present. Don't forget that you will want the day captured on camera - either hire a professional or ask everyone for copies of their pictures. 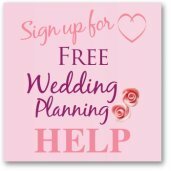 Comments for What do I do first when planning my wedding? OMG Thats the same thing Me & my Fiance were planning, it sounds as inexpensive as you can go and still be that perfect wedding.